THE RSPCA has released disturbing details of four cases of animal cruelty, one including a video of a man biting chunks out of a possum. Three of the incidents, which all included possums, were filmed while the fourth was a photograph of two women standing with rifles holding the lifeless body of a possum, as reported by News Corp last month. 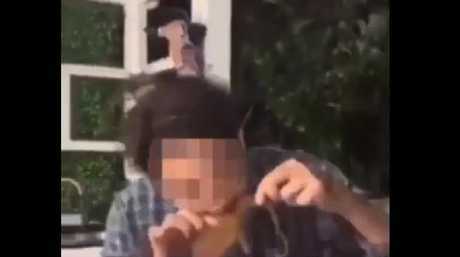 The most disturbing video shows a young man being egged on by his mates as he bites and chews flesh torn from one animal with his teeth. It's not clear if the mammal was alive or dead. 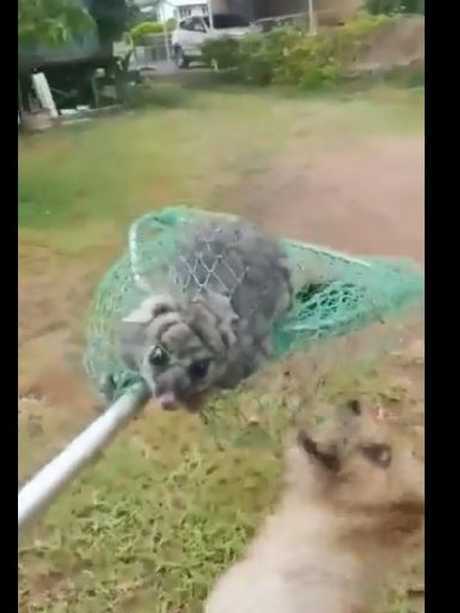 A second video shows a possum trapped in a net and thrown to three dogs while a third video shows a man dragging a possum from a tree and squeezing and slamming it into a wall before hurling it into the bush. 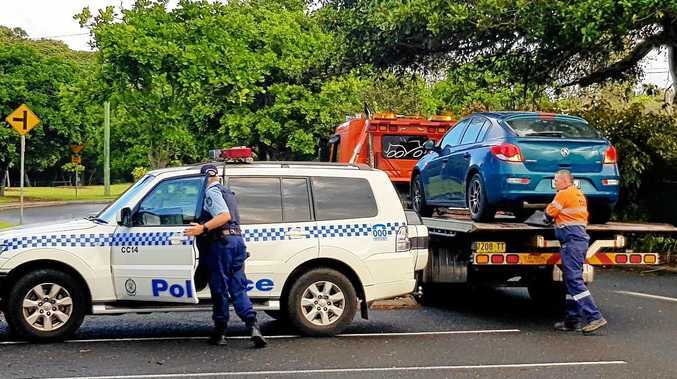 RSPCA QLD spokesman Michael Beatty said the footage was "very, very disturbing". 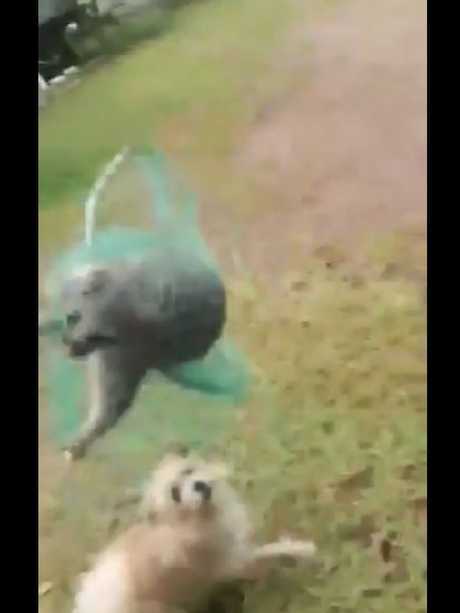 RSPCA has released footage of a possum caught in a net being fed to dogs in Queensland. "These are quite deliberate and premeditated acts of animal cruelty and show a complete lack of empathy," he said. "Without meaning to sound too melodramatic the links between this type of cruelty and acts of violence toward humans have been well researched over the years. "We're urging anyone who has any information regarding incidents of cruelty to report them to the RSPCA or the police. 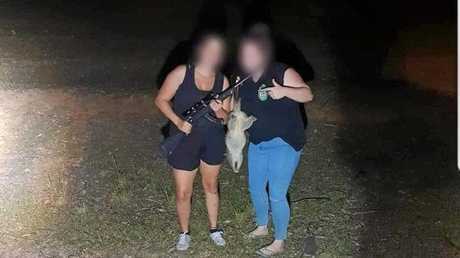 This photo posted to Instagram of two women, suspected from Gympie, posing with a dead possum and a gun has lead to an RSPCA investigation. "All native animals are protected under the Nature Conservation Act and if they did shoot the possum then that is illegal and they can be prosecuted." The photo of the two women with rifles was uploaded to Instagram last month by a woman believed to be a Gympie resident, with the caption, "I need a night out hunting again with the (name withheld) family." The online boast has not only outraged wildlife carers in the region, but could lead to prosecution under the nature conservation act or animal care and protection act, Mr Beatty said. Can you spot what’s wrong with this ad?